Pelenna Patchworks: Now available - Swan Lake patchwork fabrics by Michael Miller! Now available - Swan Lake patchwork fabrics by Michael Miller! 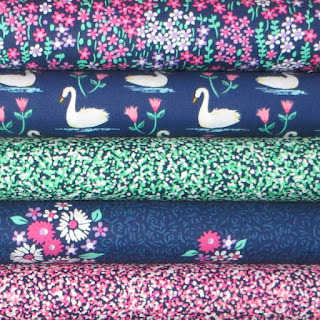 New in for February, the Swan Lake patchwork fabric range by Michael Miller is a small range of quilt fabrics featuring swans, pretty florals and dotty coordinates, perfect for a grown up quilt this spring!